This post has nothing to do with design, architecture, or art all together. I just feel like I need to share. 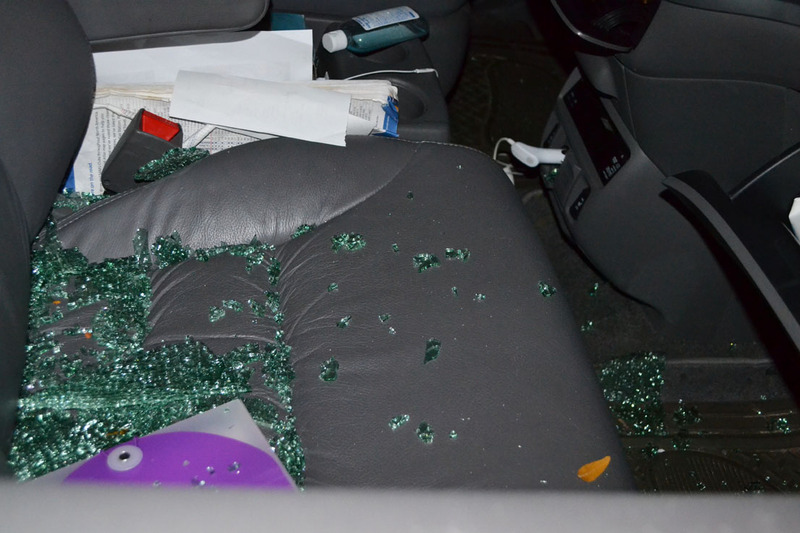 The good news is that only the GPS was stolen, what I couldn’t get over was the response I got from Chicago police. They just didn’t give a sh**! I called to report the incident and hoping that they would send an officer my way. 45 mins later and 2 phone calls to the police the officer I spoke to said that his system was being too slow and couldn’t run my plates, therefore not being able to file a report. When I asked if an officer could do it when he got there, he told me that he’s not sending anyone my way because this is not an emergency, nobody will investigate it, and they don’t care to check the car at all. I asked if he could just check if a cop happens to be in the area, but he said that they have a shortage of cops and that they have more urgent things to attend to. When I pointed out that I didn’t feel safe waiting there, he said that I should just drive my car a few blocks up to a near police station. At this point I realized that that was indeed my best shot, so I cleaned my seat and drove one block and around the corner there was 3 police cars, with 6 officers lounging outside a bar where everyone was getting drunk. REALLY??? In Arabic, they have a saying that goes something like “The police is in the service of the people.” That certainly was not the case, and it taught me that I should depend on myself and no one else! It is something that I expected would happen in the Middle East, but not here. Major disappointment. It is the same here……little chance of solving the crime so don’t he try. 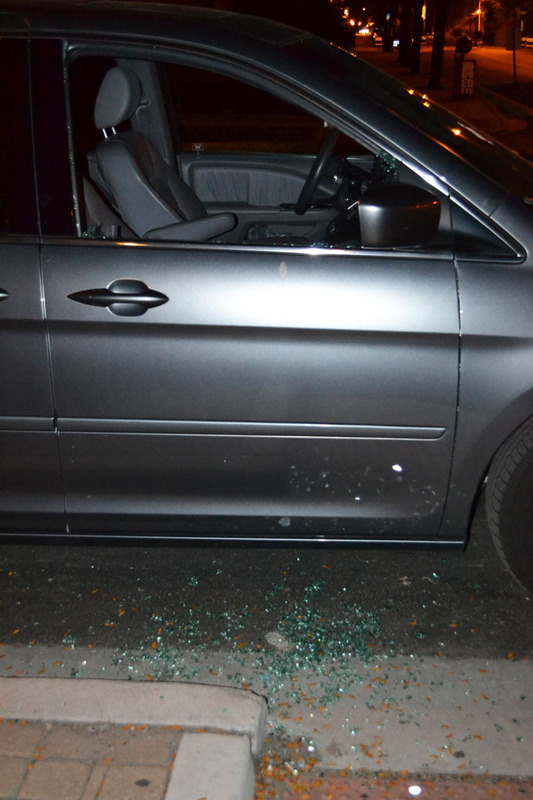 Car theft, house break in’s, and young thugs and we just have to put up with it. It’s such a shame, but I’ll keep it mind the next time the call me for a donation! it WOULDN’T happened there, I bet! It is horrible, and I’m sure that the person who did it knows that no one is coming after him, so I’m sure he continues to do it with no worries! I had the same thing done two months in a row. I started leaving my car un-locked for easy access and less expense until I received a $20 ticket from said Police :). I felt they would continue making an income for the city from me as I parked in the same spot each day or I would have just left it un-locked. Great idea, I really didn’t care about the gps, but fixing the car the bigger headache..
What a shame but I hate to say that, I’m not suprised at the response you received from the CPD.Glad that you are safe!! Thanks Chris, ya apparently this is normal! sorry to hear about your bad luck. The frustration is that they have time for revenue-raising fines but not for crimes. OMG…!!!?!? I am glad you are safe! The police don’t normally give a damn if it’s something small like a GPS or a mobile phone. They consider it a waste of time to investigate it. Terrible way they handled the situation. Hope this will be your last encounter with the police. A few friends told me that even if someone broke into your home and stole everything in there, they don’t investigate that. What that means is that all these criminals know that no one is coming after them, so they’re free to do it! It looks like you left some stuff in plain sight to tempt the criminals. I remember my first night here in San Diego. I left 77¢ in the console. Nothing else. 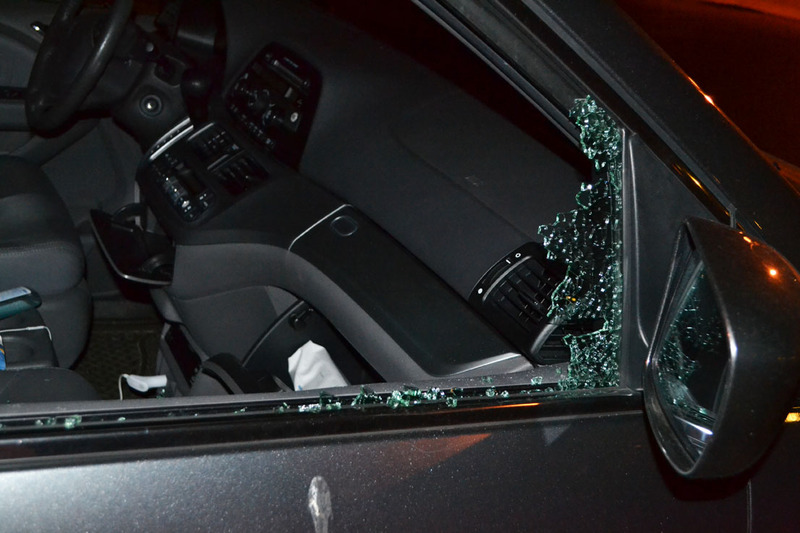 Between 1:30 a.m. and 6:30 a.m., someone smashed a window and stole the 77¢. I learned that if I’m going to live in the big city, I can’t tempt people. There is never anything visible in my car to tempt the bad people. The only thing that was visible was the GPS holder, but in any case I learned! Thanks Jalal, I guess that’s one of the downsides to Chicago. Reblogged this on Sammy Wright Pad.